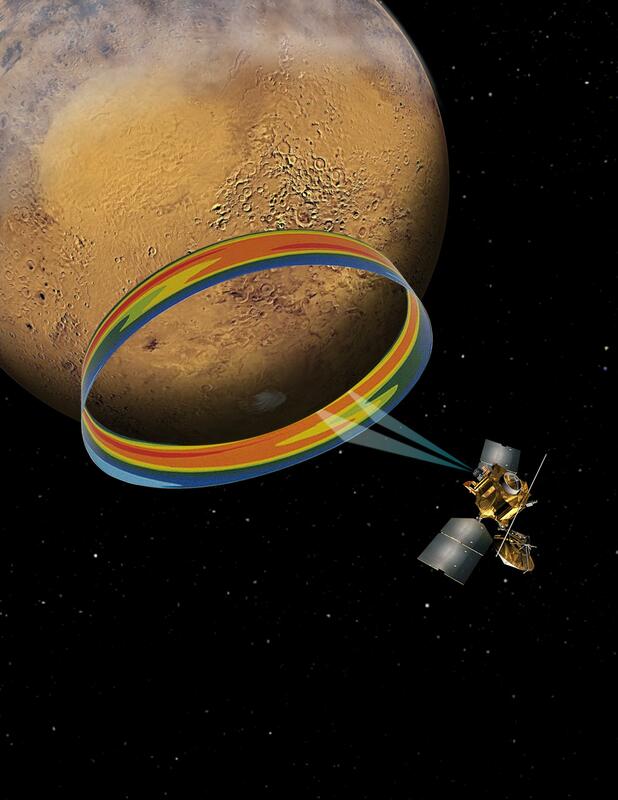 PASADENA, Calif. — Researchers using NASA’s Mars Reconnaissance Orbiter have found that temperatures in the Martian atmosphere regularly rise and fall not just once each day, but twice. “We see a temperature maximum in the middle of the day, but we also see a temperature maximum a little after midnight,” said Armin Kleinboehl of NASA’s Jet Propulsion Laboratory in Pasadena, Calif., who is the lead author of a new report on these findings. Temperatures swing by as much as 58 degrees Fahrenheit (32 kelvins) in this odd, twice-a-day pattern, as detected by the orbiter’s Mars Climate Sounder instrument. Tides that go up and down once per day are called “diurnal.” The twice-a-day ones are called “semi-diurnal.” The semi-diurnal pattern on Mars was first seen in the 1970s, but until now it had been thought to appear just in dusty seasons, related to sunlight warming dust in the atmosphere. JPL, a division of the California Institute of Technology in Pasadena, provided the Mars Climate Sounder instrument and manages the Mars Reconnaissance Orbiter project for NASA’s Science Mission Directorate, Washington.